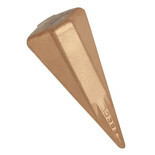 For splitting logs and cut rounds. Never jams and will split logs with the use of a Maul or Sledge Hammer. Simple but effective way of splitting wood. Diamond shaped cross section provides 4 way log split. Notches on wedge to prevent pop out when wood is being split. 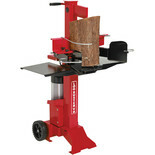 The Handy TH65510 Splitting Wedge helps to split your logs into smaller and more manageable sizes. 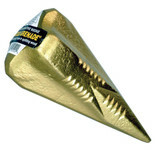 Compatible with Handy Horizontal log splitters. 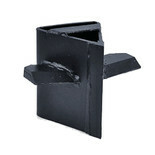 The Handy TH65525 Splitting Wedge helps to split your logs into smaller and more manageable sizes. 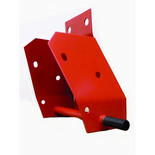 Compatible with Handy Vertical log splitters. 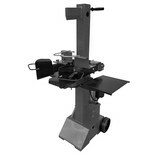 A handy log splitter stand which helps remove aches and strains from splitting logs as it brings the Log Buster to waist height. 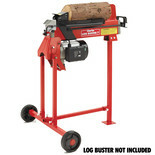 We have a variety of robust log splitters able to chop up logs of any shape and size. 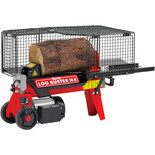 Our log splitters are capable of handling large quantities of heavy weighted logs and splitting them with consummate ease so you need not unnecessarily over exert your self. 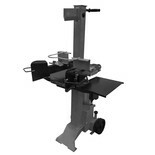 The log splitters on offer are powered by hydraulics’, electricity and petrol – very useful for splitting firewood from soft or hardwood logs for wood fires and ovens. As well as saving hours of manual labour, log splitters can be used in home and commercial surroundings to produce fast and efficient results regardless of the size of your job. All our splitters are reliable, certified safety approved and can perform to a high level regardless of the conditions you’re working in. 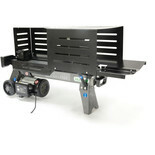 The log splitters we have in stock are wise purchases for the long and short term.